At Wallace Financial, we’re passionate about helping our clients avoid unnecessary risk with their hard-earned retirement assets. Our mission is to genuinely listen, educate and provide you with truly personalized and innovative financial strategies that bring you greater clarity and confidence in your retirement years. Our business philosophy is based on balance. We work hard to understand your vision for the future and develop a clear, easy-to-understand plan to help get you there. We educate you on the long-term impact of the choices you are making today, and we help you strategize for the future. Serving greater Detroit and the surrounding areas, our firm specializes in the following financial products and services: retirement income strategies, annuities, life insurance, asset protection, tax minimization strategies and long-term care planning. Donna Wallace is the founder and CEO of Wallace Financial. An insurance and annuity professional since 1998, Donna helps her clients address their financial concerns and develop customized strategies by focusing on each individual’s specific goals and needs. Donna got into the business after seeing firsthand the need for a trusted financial advisor. Upon her father’s death, her mother could not access any of his accounts and struggled financially despite her father’s considerable assets. Therefore, it is important to her to help her clients avoid similar situations. 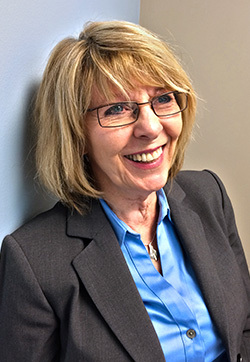 With extensive experience throughout major shifts in the economy, Donna has dedicated her career to delivering the personalized financial planning services her clients deserve, keeping an eye on tax-free strategies in particular. Passionate about asset preservation, she strives to offer her clients financial vehicles that stand the test of time and earn the results her clients expect without realizing the risk inherent in market securities. With strong roots in Detroit, Donna is also proud to service the financial needs of workers within the automotive world, right here in the motor capital of the world. Donna holds life and health insurance licenses in Michigan and Florida and is a long-standing member of the National Association of Independent Financial Advisors (NAIFA). She also is Certified in Social Security Claiming Strategies (CSSCS). As the owner of Wallace Financial, Donna strives to make a difference in the lives of others as she supports both the work of Haven of Oakland County, which supports women and children of domestic violence, and Women of Tomorrow, a mentoring and scholarship program designed to help at-risk high school girls realize their full potential. Away from her work, Donna is a dedicated wife to her husband, Ron. Together, they share their home in Birmingham, Michigan, with two rescue cats, Charlie and Cookie. In her spare time, Donna enjoys playing golf at all of the great courses Detroit has to offer. A lifelong learner, she is also an avid reader, health food enthusiast and fabulous entertainer. More than anything, though, Donna is proud to be a die-hard fan of both the Detroit Lions and the Tigers and can always be found rooting for her favorite home teams. To schedule a time to discuss your financial future and the possible role of insurance or investments in your financial strategy, contact us at donna@donnawallacefinancial.com or call us at 248.864.8590 today! We are passionate about helping our clients avoid unnecessary risk with their hard-earned retirement assets. The "10 Things to Know About Planning Your Retirement Income" report is provided for informational purposes only. It is not intended to provide tax or legal advice. By requesting this report you may be provided with information regarding the purchase of insurance products in the future.